The ANC invited Tim Sheckler of the General Services Administration to discuss the disposition process of the West Heating Plant. 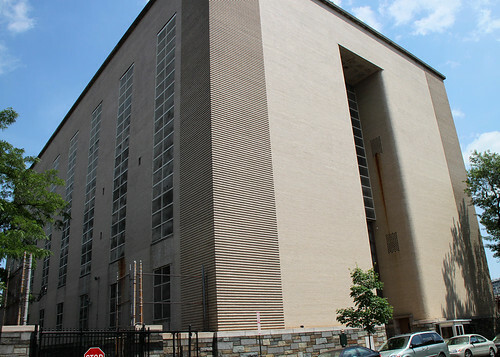 Sheckler started by giving a bit of a history of the building: It was built in the 1940’s to provide steam heat for the federal buildings on the western edge of downtown. It ceased operations about ten years ago and has sat unused since then. Now the federal government wants to get rid of it. The long and the short of Sheckler’s presentation is that the GSA doesn’t care how this property gets used after it sells it. This is not a typical RFP process you may be familiar with, where the solicitor evaluates the merits of the bids. Once GSA moves to finally sell the property, it is simply a question of who the highest bidder is. The bidding even will be online, like Ebay. 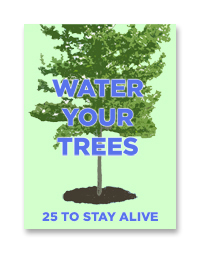 Sheckler estimated that this will take place in the late summer into the fall. The ANC and the community was not particularly pleased with this news. The only real input the public has into the GSA-disposition process is to argue whether or not the GSA should sell the property at all. The thing is, there is no DC Office of Planning plan for this lot that would detail how it should be used. This lot isn’t even zoned in the first place. So ultimately the public will have some input on how it is used (via OP) and how it looks (via the Old Georgetown Board). But that won’t occur until after a developer has already bought the property, and has a whole lot of money already laid out towards however they want the property to be used and how it will look. The ANC and the community urged GSA to delay the process until OP could develop a plan and zoning for the property. The idea being that a publicly vetted plan will mean that whatever developer purchases the property will already know what constraints they’ll be operating under. 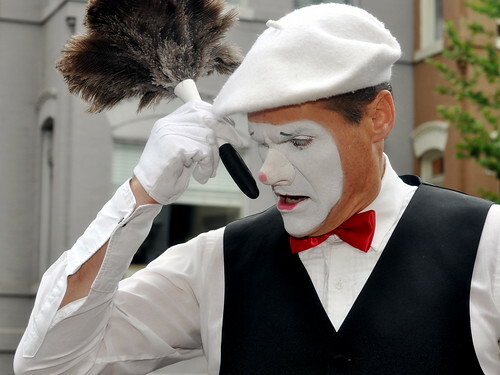 Sheckler was non-committal. One point GM suggested was that as the process would currently stand, the developers are taking a risk that whatever plans they have don’t get approved by OP or OGB. But if GSA waits for OP’s plan, GSA faces the risk that the plan results in a lower bidding price, particularly if OP zones half the property as parkland. GSA doesn’t really have an incentive to take that risk. They just want to sell the property and be done with it. The ANC commissioners expressed some reservations about the idea of selling food out of the front window. They feared the shop eventually turning into a pizza slice restaurant. In the end, the ANC decided to support the request with a (probably unenforceable) condition that the window not be used for any other type of food product. 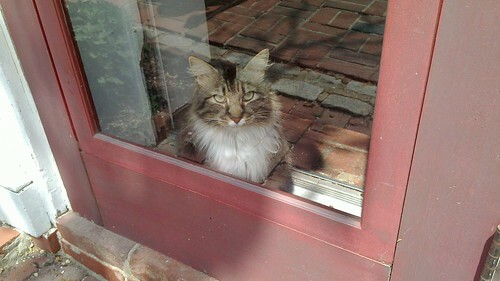 GM’s prediction is that these sort of windows never work out. People would rather just come in to the store. GM hopes the store thrives and drives more foot traffic to upper Book Hill, but it’ll be because people like the food, not the convenience of sidewalk service. Too late now, but apparently the Safeway hosted a beer tasting yesterday. Hopefully they’ll do that again in the future (and give us a little more heads up). Tacklebox will be open in a few months, Hook should take a lot longer. 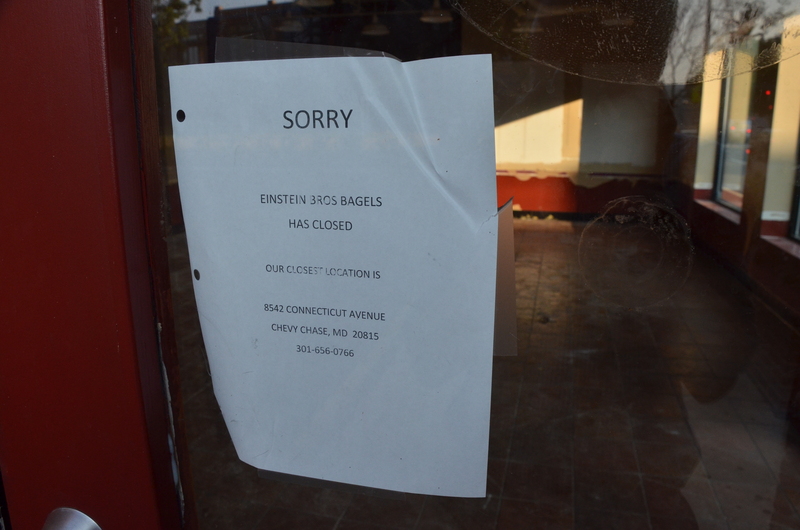 Yesterday a reader alerted GM to the fact that Einstein’s Bagels closed down. GM was expecting this, but not that soon. The building it occupied is owned by Safeway and they plan to tear it down and build a new own (plus another smaller building on the green space between this building and Safeway). GM went over the initial plans last year. They were pretty tacky and completely out of place in Georgetown. Safeway changed architects and came back with revised designs. The ANC saw that they were on the right course and left the final call to the OGB. Since GM doesn’t attend OGB meetings (they’re during the work day) he didn’t notice that the plans were approved in February. Canal cat by Byron Peebles. Safeway is really green apparently. Carol Joynt ramping up the publicity ahead of her book release on May 10th, check it out. Rose Park Farmers Market returns today! This week in celebration of the Georgetown Metropolitan’s second anniversary, GM is counting down the five most popular articles from last year. 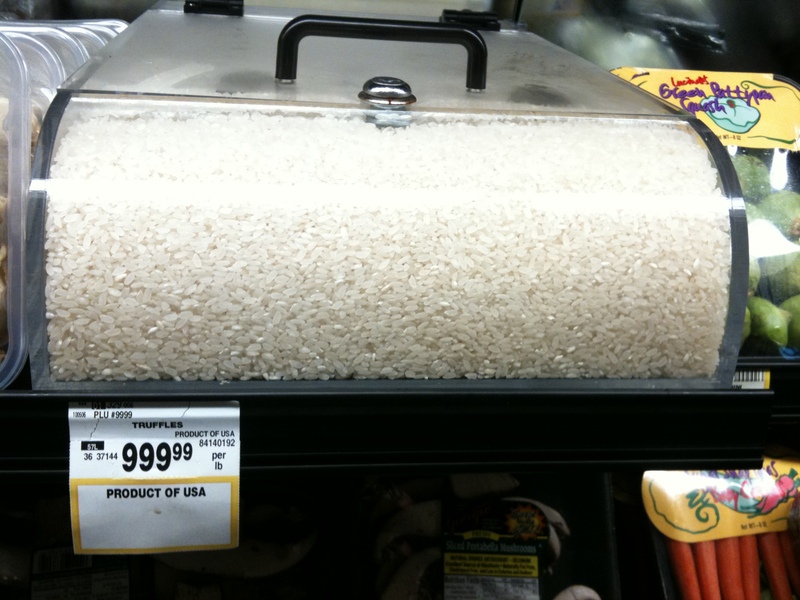 Today GM looks at the single most popular article from the last year: By Far the Most Expensive Thing at Safeway. 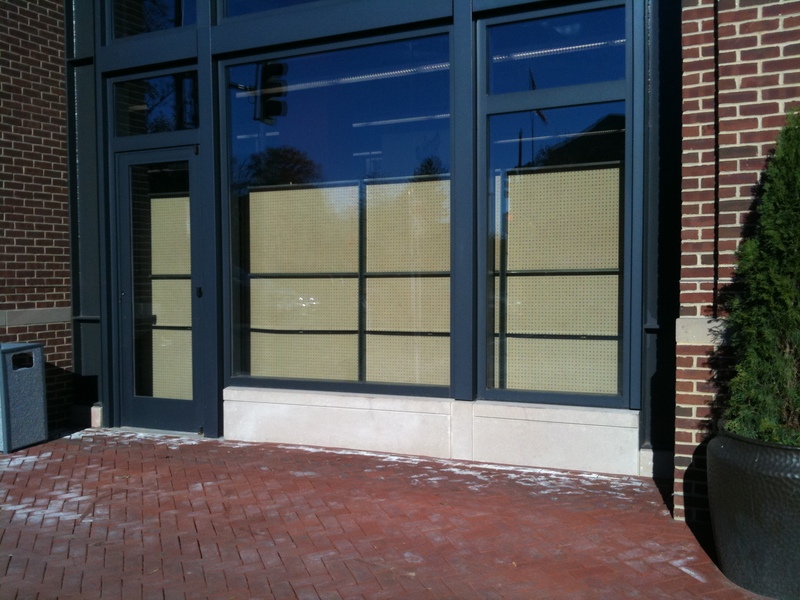 Last spring, The two CVSs in Georgetown under went minor interior redesigns that enabled the stores to open up the view into the store from the windows. This improved the streetscape on the stores’ blocks significantly and fixed a problem common with many CVS stores. That’s not a typo. At least GM doesn’t think so. What you see there is a locked case of truffles in the Safeway produce section selling for $999.99 per pound.